I spotted this adorable first birthday party over on Celebrations at Home and could not resist sharing it here as well. 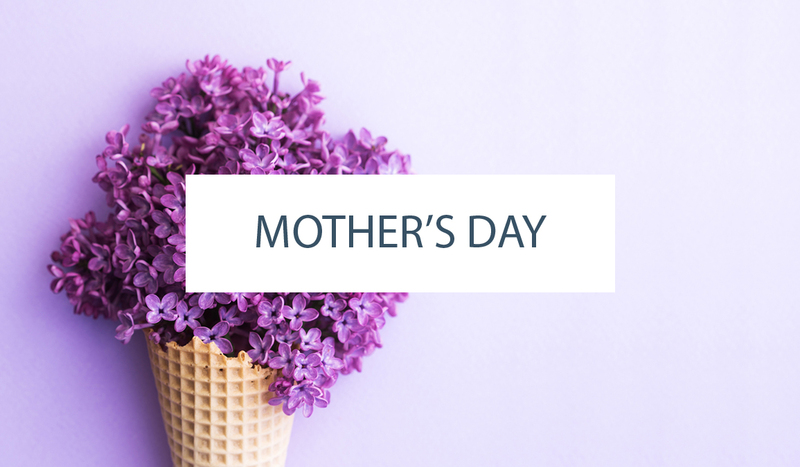 If you’re not familiar with Celebrations at Home, you really should put this blog on your reading list. You’ll always find great party inspiration! 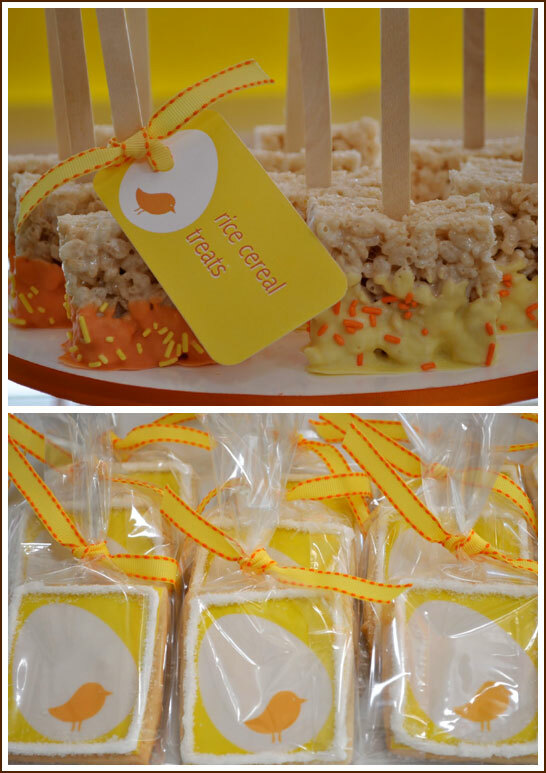 Just like this first birthday party, created for modern mom, Julie Bowen, star of ABC’s Modern Family. This modern bird-themed first birthday is super tweet! I love everything about this party! 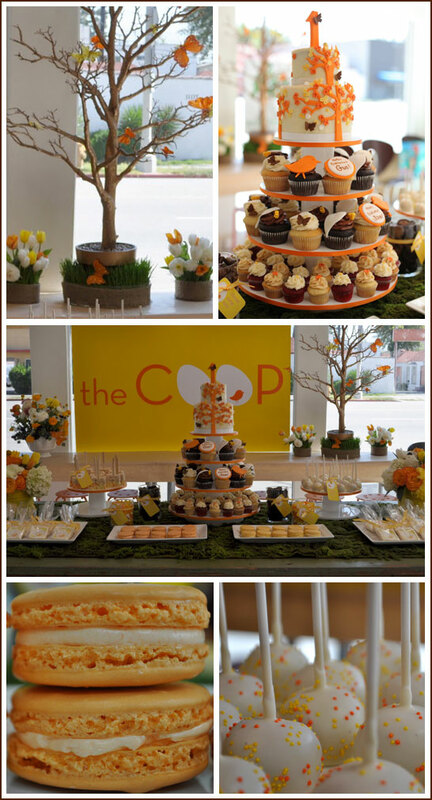 From the retro yellow, orange and chocolate color scheme to the gorgeous cake, cupcake tower and cookies! I am really enamored with all of the modern bird theme parties lately. This theme would be perfect for a baby shower or nursery as well as a birthday party. All of these adorable sweets are the creation of Blue Cupcake, an amazing specialty cupcake shop in LA. 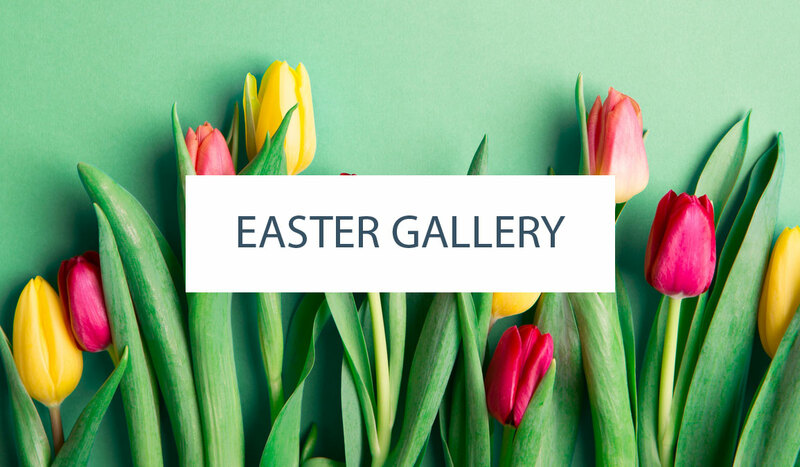 Be sure to check out more of their charming creations on the Blue Cupcake Blog. I love this party! I think it would be perfect for a baby shower. What are the layered cookies called? They look delicious, but I have no idea what they are? Love this party! Orange & yellow go great together, super cute! Lindsay – the cookies are French macarons. You can find numerous recipes for macarons on the Tartelette blog. Amazing! The color scheme is perfect and all of the treats look delicious. Thanks for featuring my treats!! And thank you for all your wonderful comments!